BOGOR, Indonesia (29 May, 2011)_New guidelines and recommendations developed by CIFOR are helping Indonesia’s banks, law-enforcement agencies and auditors fight money laundering arising from illegal logging and other forest-related crimes. A recognition that money laundering is often linked to forest crime has led many national and international authorities to ‘follow the money’ in the pursuit of wrongdoers. 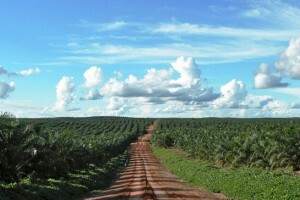 Indonesia included forest-related crimes in its anti–money laundering law in 2003. In 2009, the Central Bank of Indonesia put in place a regulation requiring commercial banks to implement anti-money laundering programmes. But it became clear that the banks needed assistance in implementing this regulation. CIFOR quickly stepped in to help and recommended procedures for banks to apply due diligence mechanisms for customers operating in forest-related businesses. The recommendations stress that banks need particularly to monitor financial transactions related to the forestry sector and to ensure the identity of the real owners of forest-based companies. The recommendations also specify the documentation that should be requested by banks to substantiate claims made by companies regarding the sources of their revenues, including the use of geographic information system (GIS) technology. These recommendations were followed up in 2010 with the development of guidelines for law enforcement and audit agencies on how best to crack down on money laundering and corruption in the forestry sector. The guidelines are to be published in a 2-volume set in 2011. Drafts of the documents have already led to a new focus by authorities on financial wrongdoing in the forestry sector. The spin-off benefits to Indonesian forests could be substantial.